This recipe can be found here. It is also located on page 53 of the Food Network Magazine Jan./Feb. 2012 issue. Now I know what you are thinking when you look at the pictures that it looks gross. It looks like a pile of slop. I hardly ever go back for seconds except on the holidays. 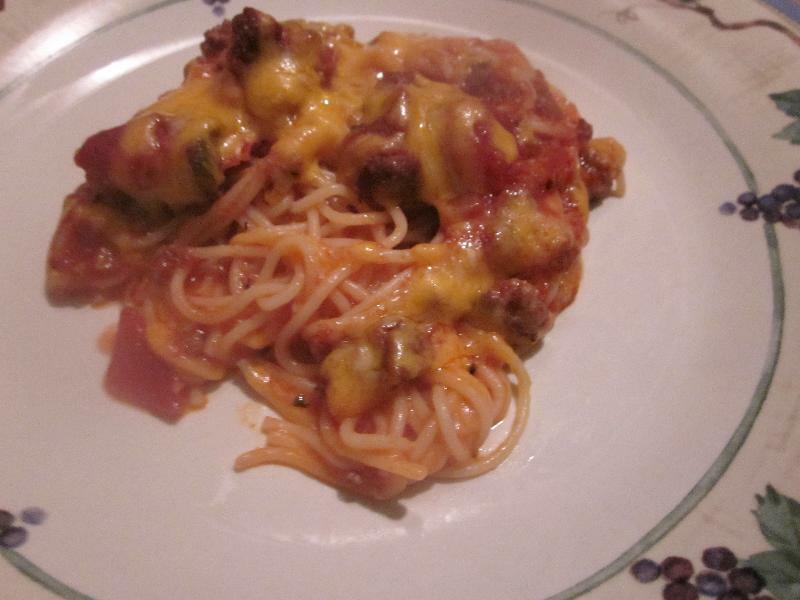 This baked spaghetti had myself and my husband going back for thirds! It was sooo good! I will be making this one again! Combine the tomatoes, tomato sauce, 1 cup of water, the onion, the bell pepper, garlic, parsley, Italian seasoning, 1 teaspoon of salt, 1.4 teaspoon of pepper, the garlic powder, seasoned salt, sugar, and bay leaves in a stockpot. Bring to a boil over high heat, then reduce the heat and let simmer, covered, for one hour. Meanwhile, bring a large pot of salted water to a boil. Add the pasta and cook according to the package directions. 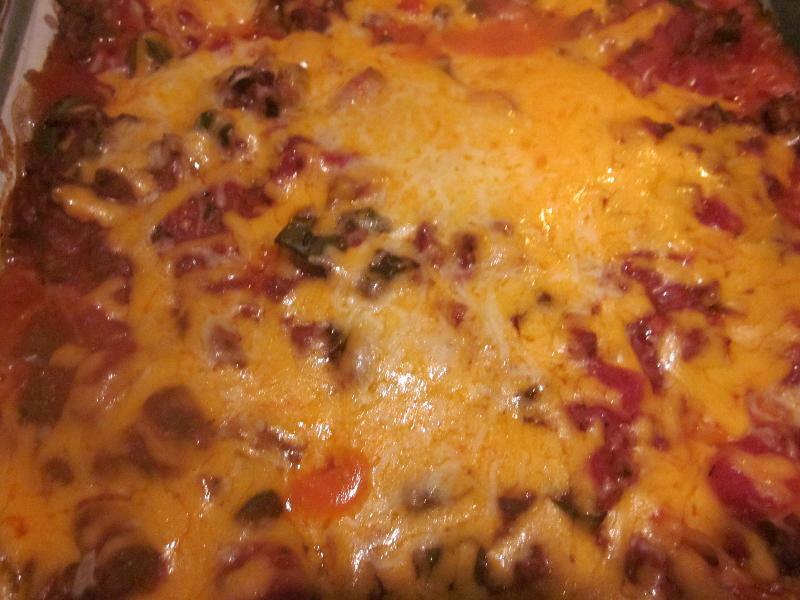 Cover the bottom of a 3-quart baking dish with one-third of the sauce. Add half of the pasta, then one-third of each cheese. Repeat the layers, ending with the sauce.